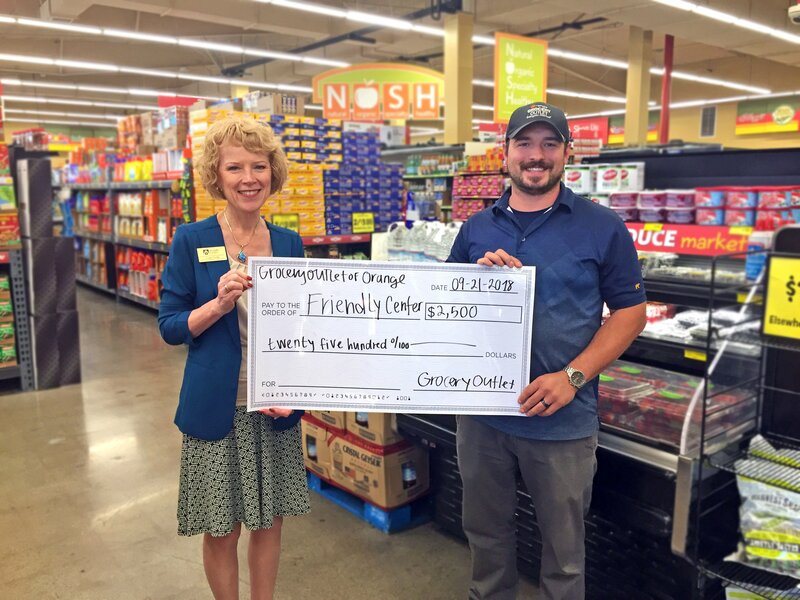 In July, Friendly Center was selected by Joshua Harsh, manager of Grocery Outlet of Orange, to be the recipient of the 8th annual Grocery Outlet Independence from Hunger Food Drive. The promotion is focused on combating food security, with the intent of raising $1,500,000 across their stores nationwide. Their reason for the timing of this event is purposeful, as summer months can be difficult for families that lose access to school supported food programs, creating an increased risk for food insecurity. In fact, the most recent USDA data reports that over 41.2 million people live in food insecure households, including 12.9 million children. Grocery Outlet exceeded their goal, raising $1,700,113 in total for those in need. Friendly Center was one of over 300 agencies supported by the drive, which incentivized customers to give $5 and get a $5 Grocery Outlet coupon in return. Additionally, customers could purchase a pre-bagged assortment of groceries at checkout. Friendly Center thanks those of you who participated at checkout. And thank you to National Charity League Orange Villa Park chapter volunteers who promoted the food drive to customers onsite. In the end, Friendly Center received $4,000 worth on non-perishable food and a $2,500 check from Grocery Outlet of Orange all thanks to the generous community support.